Cascades East Transit connects people to places with transit service. Their mission is to “always exceed expectations of riders with courteous and friendly customer service representatives, transit operators, and staff.” CET bus services include fixed-route bus service in Bend, ten routes operating Monday through Saturday across the city of Bend. Fixed-route buses in Bend allow residents and visitors to get to where they need to go. 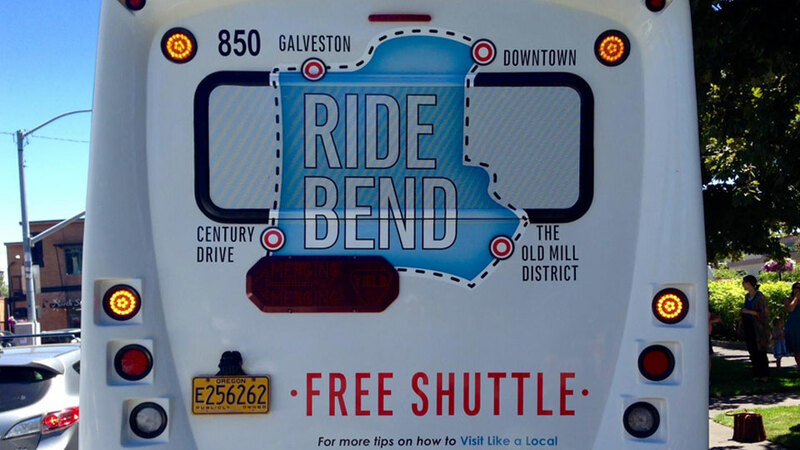 The Community Connector bus service provides a fixed-schedule for buses that connect the communities of Bend, Redmond, Terrebonne, Prineville, Madras, Culver, Metolius, Warm Springs, La Pine and Sisters. Dial-a-Ride is a curb-to-curb, shared ride transit service provided to residents with disabilities and seniors with low income not living near fixed-routes. Rides may be scheduled up to 14 days in advance, however same day rides or changes aren’t accommodated. Rural Dial-a-Ride is a curb-to-curb, shared ride transit service provided to the general public in Redmond, La Pine, Sisters, Prineville, Madras, and Warm Springs. Rides may be scheduled up to 14 days in advance. Recreation shuttles connect Central Oregon residents and visitors with some of Bend’s most fun outdoor attractions. Ride the Mt. Bachelor shuttle to the mountain for a day of skiing or snowboarding, ride the Lava Butte shuttle to see majestic views from the top of this nearby peak or Ride the River shuttle after floating the Deschutes River.